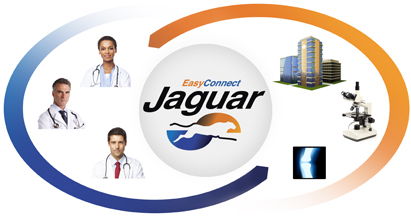 Built from the ground up, the EasyConnect JaguarTM interface engine provides easy interface management to eliminate data connection barriers between healthcare information systems. by efficiently connecting your EHR with any other information system and with physician practices. Learn more. with this turnkey solution that allows your IT staff to quickly and easily create new interfaces. with regional Health Information Exchanges (HIEs) easily and cost-effectively. Hospital solved interface challenges with easy-to-use interface engine. Read how Upper Chesapeake Health found a faster and cost-efficient way to build interfaces. Certified to meet Meaningful Use, Stage 2, Menu Set Objective 14: Provide electronic laboratory results. Easily set up filters, templates, and other functions such as data manipulation with the drag-and-drop functionality. 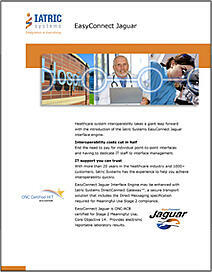 Supports all of the major healthcare messaging and protocol standards. Integrates a wide variety of information systems including Electronic Health Records, physician EMR systems, Emergency Department systems, and more. EasyConnect Jaguar interface engine includes iAlert, which proactively monitors interfaces to detect issues even before end users report them. 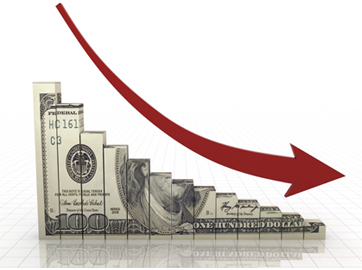 Cut your hospital’s interoperability costs in half. Read how EasyConnect Jaguar can help you exchange, integrate, share, and retrieve electronic health information across disparate systems. Upper Chesapeake Health quickly builds and easily manages their interfaces. Meadville Medical Center builds and deploys interfaces in less than a day. 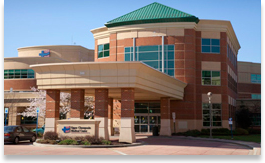 Indiana Regional Medical Center reduces costs of building interfaces by $25,000.